From the 30th day of April to 3rd of May 2009 the outreach team engaged themselves at Olebu, a village about 25 kilometers from Accra to carry out the following activities; prayer meetings, video crusade and follow-up. about 150 out of which 2 people (an eighteen-year-old girl and a woman) gave their lives to Christ. The program started at 7.00 pm and closed at 10.00 pm. 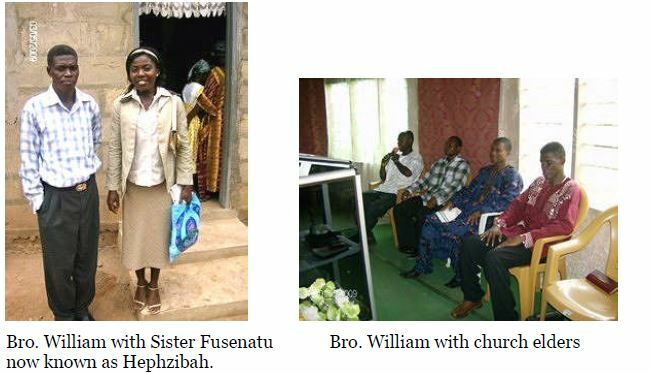 On Friday during the prayer meeting, a three-year-old girl who had a very strong convulsion was rushed to the prayer grounds to be prayed for. To the glory of God, she was set free in less than 5 minutes by the power of God through prayer. The mother of the girl wept uncontrollably saying she had no money to take the child to the hospital if God had not healed her daughter. She as a result praised and thanked God continuously for a very long time. The film that was shown next on Friday was “The Anti-Christ”. The attendance was almost the same as the previous day but this time no one came forward to receive Christ. encourage them. It was discovered that many of them were still in faith and regularly attend their denominational churches. The attendance at the video crusade was great and thanks God for the move of the Holy Spirit. The gift of healings was at work, healings took place even without pray. Glory!!!!! During the altar-call, 3 women gave their lives to Christ. On Sunday at church service, there were a lot of testimonies of what the Spirit of God did for them during the previous video crusade and prayer meetings. One woman testified that before the programs she could not sleep in the night but now sleeps and sleep soundly. In conclusion, 5 people gave their lives to Christ, a lot of healings took place etc.